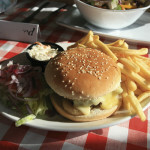 The idea of the American roadside Diner has always appealed to us Brits – the idea of cruising down Route 66 in a Cadillac holds plenty of appeal. 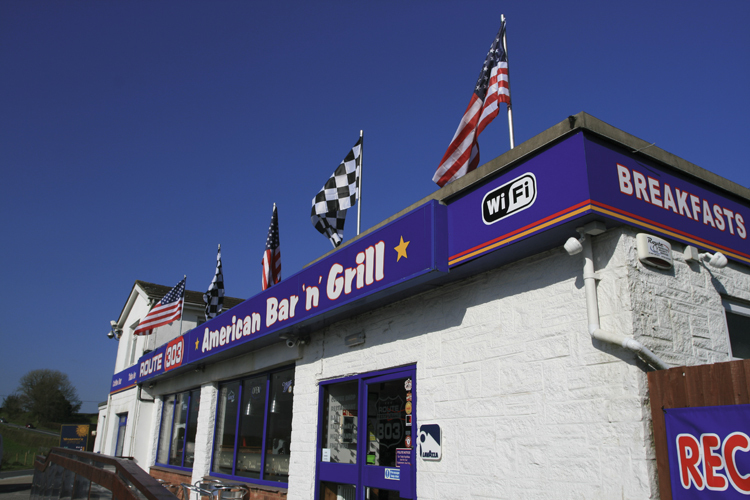 Which brings us to the Route 303 Restaurant, taking its name from one of Britain’s busiest roads, the A303, which aims to bring all the charm and style of the American diner experience to a quiet corner of Devon. 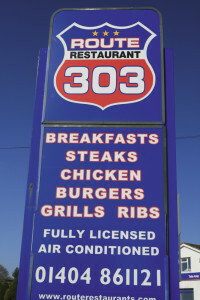 Our first attempt to dine at the 303 ended in failure when we were turned away, having not booked a table – something you might not expect to happen at a roadside diner. A few days later, with a table duly booked, we returned on a quiet Tuesday evening at 5pm. 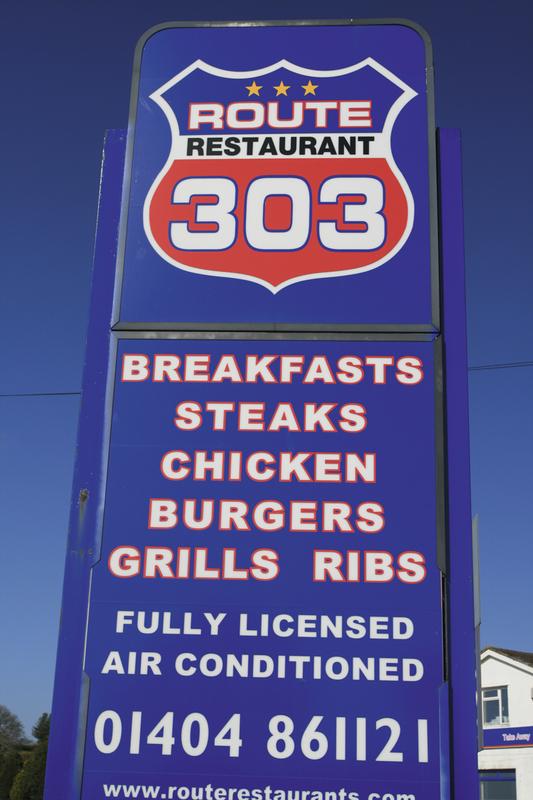 The 303 is exactly what you’d expect from an American Diner – the likes of the Statue of Liberty and Elvis Presley stare down at you from the walls. It’s all rather cool. 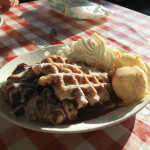 The food is typical American-style fayre, so expect plenty of burgers, steaks and ribs. 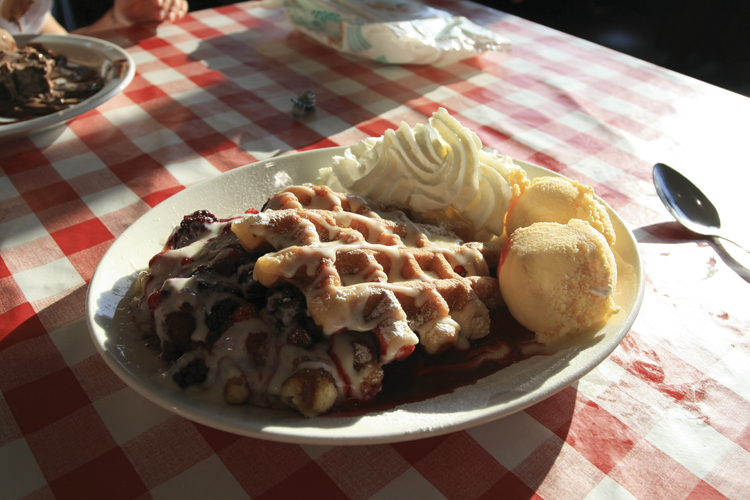 The quality and quantity of food was impressive – when it arrived. The staff, though friendly, were slow to take our order. After around 40 minutes our dinner arrived. 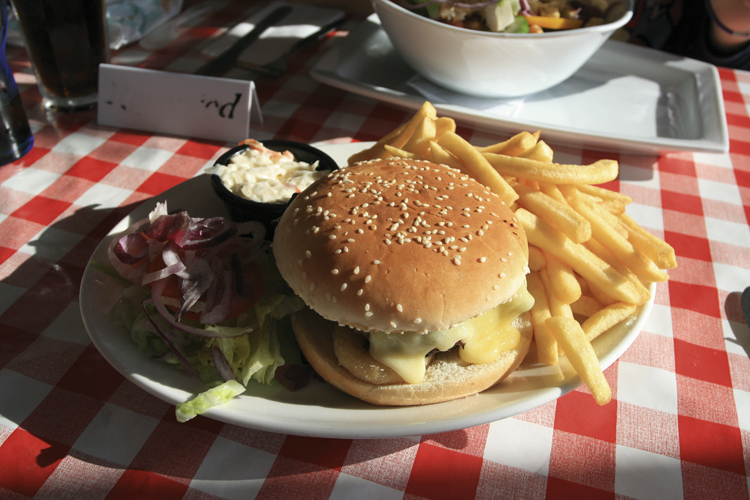 A Rodeo Burger with cheese, bacon, side salad and fries cost £8.25, while a Lemon and Herb Salad with Piri Piri chicken came in at £7.55. From the children’s menu we ordered Pasta and meatballs at £3.99. The meal itself was great and clearly made with good quality, fresh ingredients. The Route 303 can be found just outside of Honiton, near the village of Yarcombe in Devon. Follow the A303 westbound from Ilminster and you can’t miss it.